Lecrae's first single off his Anomaly album will be used in a new Disney film titled "Bad Hair Day." 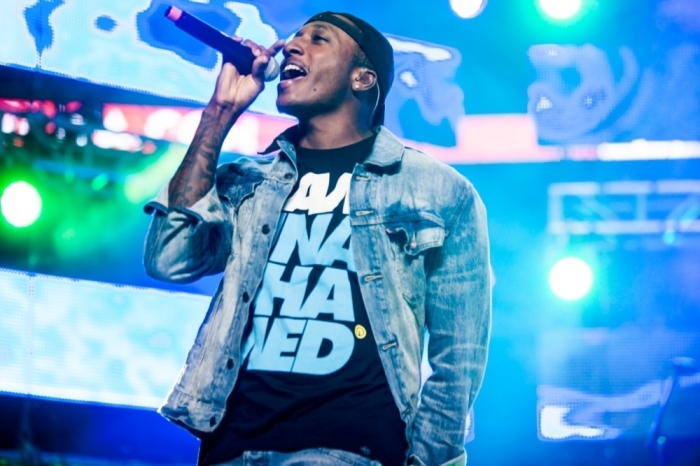 "Nuthin," which was released by Lecrae in the summer of last year, will make an appearance in the movie and can also be heard in the first trailer which features a teenager playing it in their car. The film will premiere on the Disney Channel at 8 p.m. ET on Friday, Feb. 13. This is the first time the rapper will have any affiliation with a Disney product. "Nuthin" was featured on Lecrae's seventh studio album Anomaly, which was released in the fall of last year. The album was his most successful to date, reaching the No. 1 slot on the Billboard Top 200 and earning him a few Grammy nominations. The song features the rapper addressing the music of other artists and accusing them of talking about "nothing" in their lyrical content. He also criticizes their name dropping of expensive brands such as Gucci, Versace and Louis Vuitton on their records. He spoke about the content he'd like to see in mainstream records in an interview with VIBE magazine in June 2014. "Honestly, I'm so tired of the redundancy," Lecrae told the publication. "The world needs artists that are willing to provoke. Let's talk about issues: education, racism, faith, fatherlessness. These are the things that inform what I do." In a CP Voice interview last year the rapper also discussed finding his voice on his latest album. "This is an album where I'm pretty confident in who I am," Lecrae said. "I'm not trying to figure myself out. I'm pretty content and confident in who I am. I'm not confused about how to approach art and culture. I'm very confident in my lane and what I'm doing."